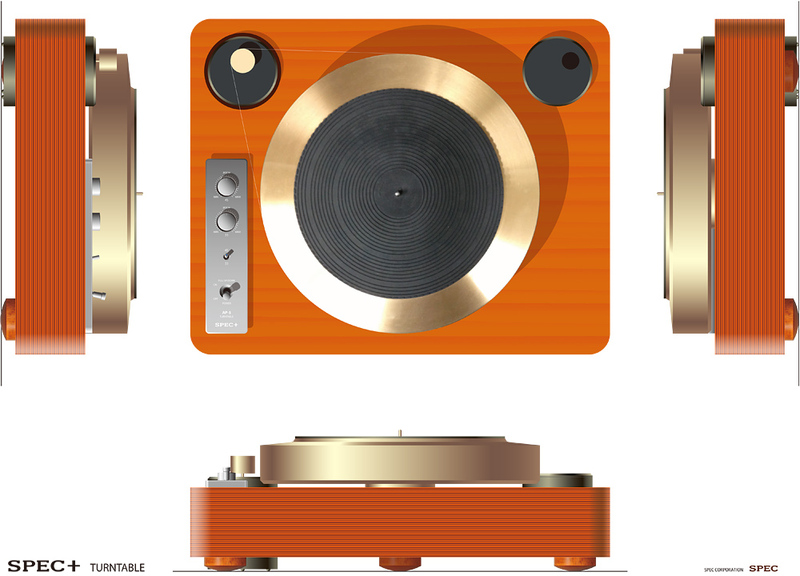 For your information, SPEC will demonstrate a new heavy-duty turntable (a slightly higher price than the REQ-S1EX) at the Munich hi-end. 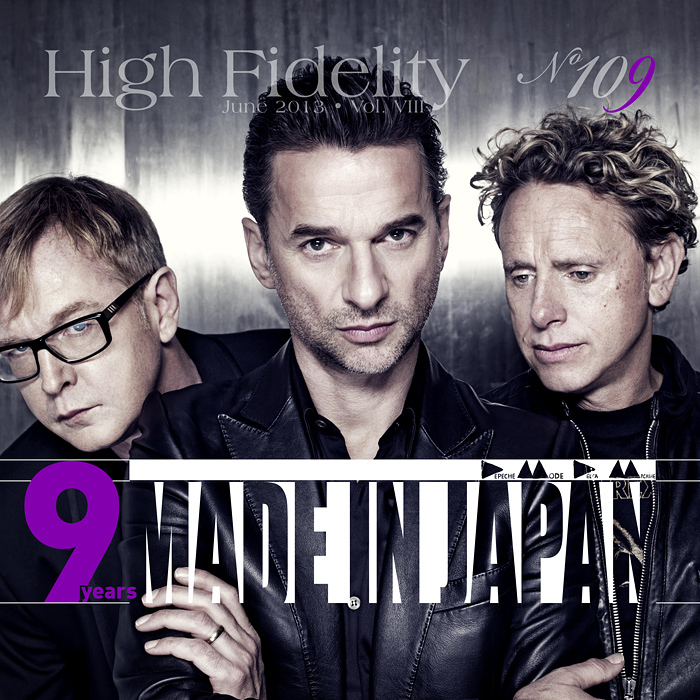 It seems that SPEC grows quickly like a weed :) Anyway, I decided to publish the story that Shirokazu Yazaki-san wrote about his career as the Editorial for the May issue of “High Fidelity”. It has never happened before in the nine years of history of our magazine for someone else than me to write the editorial. This way I would like to honour Mr. Yazaki and show my appreciation for everything he has so far achieved. Indeed, Mr. Yazaki of SPEC is a very interesting engineer. 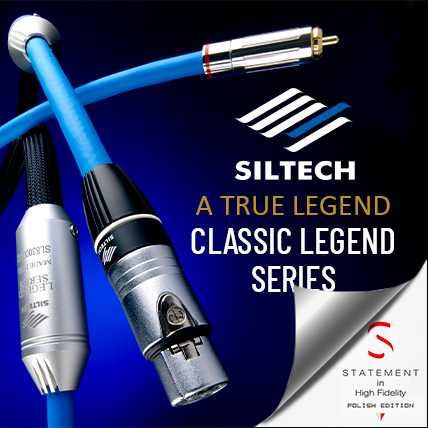 He loves the sound of 300B single-ended amp and has been continuously upgrading his 300B SE amp since 38 years ago, aiming for the ultimate sound. However, in order to solve the only disadvantage of 300B SE amp (not enough power to drive recent low-efficiency speakers), he finally reached to a solution to replace 300B output tubes by the newest and highest grade PWM switching devices supported by a pure analog power supply and West Cap type vintage oil capacitors. This means that 300B output tubes were just replaced by the digital amplification devices, but the basic theory is the same as a tube amp. Although an ultimate target sound should be the same either by tube amps or solid state amps, the sound of these amplifiers is different at this stage. It means that both tube amps and solid state amps are still not perfect and it seems no more solutions for further improvements. 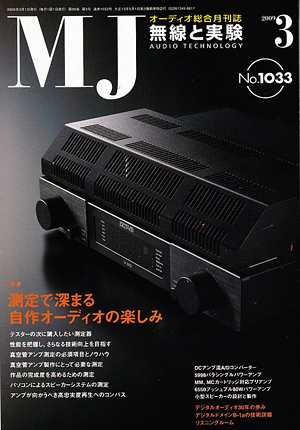 Some Japanese audio journalists commented that SPEC amplifier might be making the figure of the future of audio amplifier foresee. My authentic audio hobby started in 1971 when I just graduated from the university and entered the company named TEAC (at that time one of the famous tape recorder maker in the world) as a mechanical engineer. 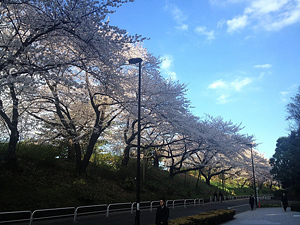 Because that I had been interested in the audio products, especially dynamic motion of open reel tape transport. But I suppose I was basically another music lover of Jazz and vocal Jazz. Fortunately, as a Tube-Amplifier fan I was so excited because these fine European tubes were introduced into Japan in the early 1970 by Mr. Jean Hiraga. He started business importing mainly vintage British made tubes to Kobe in Japan. I was so stimulated from the articles of one’s own making tube amplifier mounted vintage European tubes on monthly specialized magazines, such as “MJ “or “Radio Engineering”. I had never heard the sound of such tube amplifier and only imagined a beautiful sound and look. But at last I could have the experience the sound and I was deeply impressed with the superb real-sound of single direct-heated power triode amplifier with the high efficiency horn speaker system ALTEC A-5 at the Audio-Fair 1971 in Tokyo. And this was exactly what spurred my own audio career. I decided to start making a single power triode amplifier and collect a horn speaker system. First I started to build up the very simple “GEC DA30” (PX25A or CV 1178 British made power triode; these days DA30 is so rare that I suppose it’s only found in museum, even in the UK ) single ended amplifier with non-feedback circuitry according to the article in “MJ” June/1972 by Mr.Anzai and it was completed in early 1973. This amplifier is composed chiefly of Western Electric 310A as a driver tube, Telefunken GZ34 or Western Electric 274B as a rectifier and GEC DA30 as a power tube. The reason why I selected DA30 instead of the famous Western Electric 300B was that the higher frequency response of DA30 was wider and superior to WE300B in non-feedback circuit use. So my SE amplifier was composed of a US made driver tube and a British made power triode. It might be a rare case but I had never regretted this selection because of excellent circuit design thanks to Mr. Anzai. Already 40 years passed but every time I have heard the sound of DA30 driven by WE310A, I have felt natural, rich midrange, decent tonal-quality of British made tubes and also powerful mid-low range of special USA made tube. And curiously enough around 40 years after this very primitive tube amplifier I was led to the new generation D-class amplifier. About the horn speaker system, first I got a pair of used vintage ALTEC 414A woofers in a nice condition at the end of 1973. It’s a 12-inch woofer but compared to the noted 15-inch 416A it has more high-speed mid to low range and I thought it might be better suited at home use. 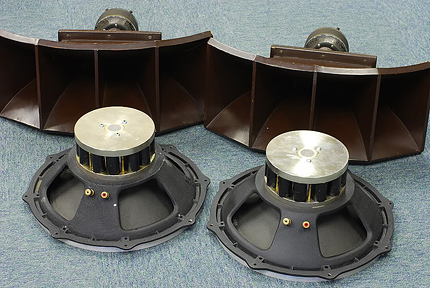 But I had a problem choosing the horn speaker between ALTEC, JBL and ONKEN. Finally I decided to have the ONKEN horn speaker system because of the exceptional flat frequency response and the organic, natural tonal character of the wood horn with amazing Japanese craftsman ship. First I ordered mid-high driver ONKEN OS-NEW500MT and SC-500WOOD horn in December 1973, but I received it in early 1975. It took so much time to produce the driver due to the craftsmanship of Mr. Koizumi aspiring for perfection. 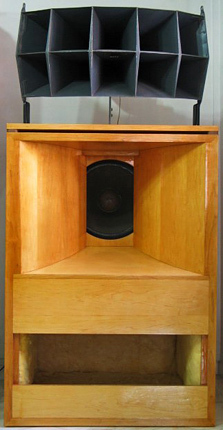 And in 1997 I got the OS-5000T Espit tweeter and the structure of my high efficiency speaker system was completed. I also should say something about my “Marantz 7” preamplifier. In 1979 Marantz Japan released the kit form of “Marantz 7” as “Marantz 7K”. I had adored “Marantz 7” because of the legendary sound full of musicality and beautifully balanced design. So I built up the kit, but I used better quality parts than the attached parts, such as capacitors, resistors and so on. I learned so much know-how on how we can get a fine musical tonal character trough building up that kit. Of course I have made continuous sound quality improvements of my “Marantz 7” up to the present. 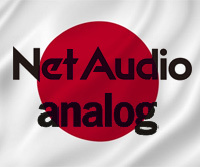 That means, “Marantz 7” has been a good “professor of Audio technology” for me!